Incorporating mirrors into your decor can make a big difference in the overall atmosphere of your home. When used correctly, mirrors can add light to a room, create the illusion of space or simply add an extra decorative element. As you look for your next mirror to purchase, keep in mind how key factors such as size, shape, material, color and placement will change or enhance the look of your current space. What size mirror do I need? 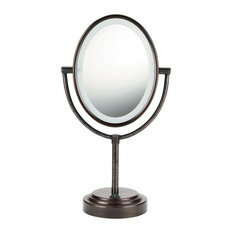 When you're picking out your new mirror, whether decorative or not, first and foremost consider its overall function. 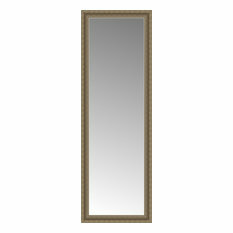 Do you need a full-length one to nitpick daily outfits, or do you merely need a small wall mirror for added decoration? The placement can affect the size requirements as well. Big mirrors work well in entryways, since they help reflect light and give you one last look before heading out the door. 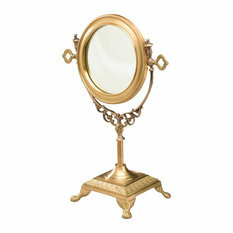 Living room mirrors are usually more decorative, and therefore are often smaller with more ornate details. Bedrooms and closets often include tall floor mirrors, while bathrooms opt for vanity units or medicine cabinets. 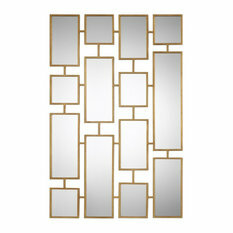 What decorative mirrors are available? 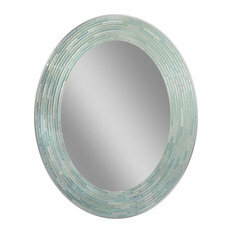 Although most serve a purpose, mirrors are also great decorative elements. You can cluster several round ones together to form a piece of art, or use a single sunburst-shaped one as a focal point for your space. Leaning mirrors are also great for decor, since they often have beautiful, intricate frames; they can take up a good amount of floor space, though, so be sure you have the room (and the budget) before you buy one. 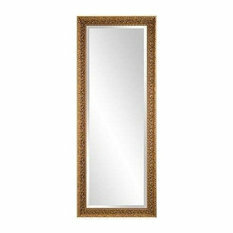 Which type of mirror frame is best? 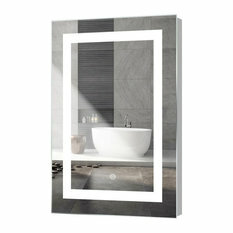 If it's going in the bathroom, you want to be sure the frame can withstand moisture. If it's going in any other room, go with what feels right for you and looks good in the space! 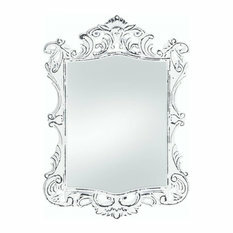 Mirrors are a chance to add some serious flair to your decor, so feel free to get a little glamorous. 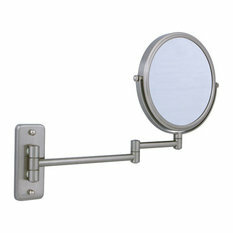 You can also choose various surface treatments for the mirror itself. If it’s solely decorative (or is just hung to add a little light to a room), you don’t need to worry too much if it’s super functional. Go for a treatment that adds a little gold for warmth, or a vintage style that’s worn down a bit for some visual interest. Just be aware that the price range for mirrors varies quite widely — it depends on the combination of size, design and purpose.